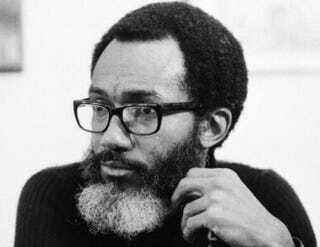 Sam Greenlee was underappreciated, disgruntled, professionally disemboweled and perpetually agitated. His sudden death at the age of 83 offers opportunity for reflection on a man trapped in the suspended animation of one great work that briefly elevated, then haunted, him into his last days. An apprehensive and highly educated foreign service officer who abruptly quit the business of American global dominance in anguished pursuit of a lifetime in written word, Greenlee spawned like a lost child of Ralph Ellison. He will not be forgotten, but he will also be remembered in the starting lineup of a tortured lineage of creative black literary minds way ahead of their time. From George Schulyer (Black Empire) to Ellison (Invisible Man) to Chester Himes (If He Hollers Let Him Go), hard shift to Greenlee and then John Edgar Wideman (Philadelphia Fire), to Brent Wade (the Company Man genius who just … went missing) and now Todd Craig (Tor’cha), they and others are temporary flashes of a fire of brilliant black men’s acrimony shared through risky, genre-bending books. For Greenlee, risky was an understatement. To write, screenplay and release a film adaptation of a novel deconstructing the global white supremacy pyramid scheme was dangerous at that time, and he invited his own ostracism from the social grid. Few in this day and age of grainy, elevator-security-camera fight videos, overpriced designer headphones and LeBron James Android apps will celebrate the name, much less recall it. But Greenlee was the godfather of black rage long before The Boondocks’ creator, Aaron McGruder, became his stylish stepson—merely channeling select nuggets of Greenlee’s seminal The Spook Who Sat by the Door because, against the visceral boom bap and fading Africa emblems of Generation X, it was cool like that. There were those of us who spoke of Spook as if speaking in a special, uniquely branded tongue of black revolutionary cryptography. You did not understand the rugged totality of modern black existence unless you were schooled in it, and suddenly we were all aspiring Dan Freemans in training. Greenlee’s semiautobiographical tour de force managed to tap into dark, revenge-filled fantasies of bold, brainy brothers outwitting The Man. As such, the underground literary classic, dropped in 1969, said what few truly braved to say. Our parents (at least some of them) pulled Greenlee’s greatest achievement from a dust-gathering bookshelf and presented it like cracked vinyl in desperate need of attention. We are all unwitting protagonists in the Spook plot line, the Matrix batteries living through the twisted designs of our masters just to keep food on the table and mortgages paid. An ugly, digital-device and social media-driven consumer addiction is the latest twist Greenlee couldn’t have seen coming. The mix-reviewed 1973 film, directed by brief black acting great Ivan Dixon, never really caught—with near-proven allegations of FBI sabotage chasing it into cult obscurity. And Greenlee’s second 1976 novel, Baghdad Blues, seemed to pass on like an unheralded pre-post-9/11 catch phrase. Folks were fashionably late to Greenlee’s clever contemporary insights on white supremacy and racism, wearing their cultural commentary on their sleeve, simply posing for the camera. He probably had more to say, but we missed that part. Charles D. Ellison is a veteran political strategist and regular contributor to The Root. He is also Washington correspondent for the Philadelphia Tribune and chief political correspondent for Uptown magazine. Follow him on Twitter.